Home Uncategories Philippine banana export to China blocked - Scarborough Standoff? –QQ?? Philippine banana export to China blocked - Scarborough Standoff? –QQ?? The governments of China and the Philippines are meeting soon but not about the Scarborough shoal. The two governments will talk bananas. Trade regulators of the two countries are poised to meet to avert a possible trade rift over the rejection by China of a shipload of bananas from the Philippines recently claiming they failed to meet quarantine tests. The Pilipino Banana Growers and Exporters Association (PBGEA), however, view the imposition of new requirements by China as a form of retaliation in view of the ongoing dispute over the Scarborough shoal. As if to minimize the impact of the impending talks, Trade Undersecretary Adrian Cristobal Jr. said the matter is purely a sanitary and pythosanitary (SPS) issue but that the Philippines is nevertheless preparing as the quarantine may cover other Philippine fruits such as pineapples. "Based on the reports we are getting, this is purely an SPS issue. Let's avoid speculation at this stage," Cristobal said. He said the Department of Trade and Industry, Department of Agriculture, the Bureau of Plant Industry, the Chinese embassy in Manila and the Philippine embassy in Beijing are working closely with the industry to address the issue. "Concrete steps are in place, including negotiations across the table among regulators of the two countries," Cristobal said. According to Cristobal, China's Administration of Quality Supervision, Inspection and Quarantine (AQSIQ) has informed the Philippine embassy in Beijing that 43 batches of bananas shipped in April were found with pests. He said the DA is verifying such claim. Although China has not suspended importation of bananas from the Philippines, it could do so in the future if it finds the prevalence of pests, Cristobal said. The 43 batches at issue were shipped by a number of growers, leading to speculation that China is retaliating for the tension with the Philippines over the Scarborough shoal dispute. Cristobal said both governments are now exchanging test results and, hopefully, they will arrive at some concrete findings this week. He said the Philippines is preparing as the quarantine may cover other fruits like pineapples and papayas. The Philippines imports a good volume of vegetables from China. The Philippines is the largest exporter of pineapples to China, shipping over $23 million worth of the fruit last year. According to Cristobal, even prior to this issue, he has been closely working with the banana industry to come up with an action plan and strategy for market diversification. At present, China is the second biggest market after Japan. Canada is a potential market which the Philippines is beginning to penetrate. Other markets being looked at are Russia, New Zealand and the Middle East. Last year, the Philippines exported $366.68 million worth of bananas or 91 percent of its total production. 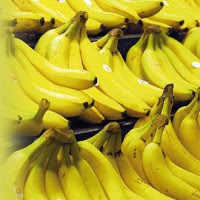 PBGEA said China recently imposed a tighter rule on incoming banana shipments from the Philippines for the first time in over decade since the growers have been exporting Cavendish bananas to China. PBGEA said banana exporters from Mindanao have been using the most advance and high-end technology to process the fruits. There are 18 companies engaged in the exportation of bananas.